In 1996 The Windmill Inn in Hillsboro, Texas was fatured heavily in the film Bottle Rocket. The film was the directoral debut of Wes Anderson and also introduced the world to Luke and Owen Wilson. The three who would go on to have blockbuster careers were, in 1994, a group of friends who had success with a short film of the same name that peaked the interest of Simpsons producer James L. Brooks. Anderson, wanted to stick to his home state of Texas while filming Bottle Rocket and chose Dallas and Hillsboro to be the backdrop of the small time crime caper comedy. The film follows three friends who while "on the run from johnny law" make a stop at a nondescript motel off the highway. While on the lam; Dignan, played by Owen Wilson, enjoys the fruit of his criminal labor while continuing to scheme and plan for the future, leaving Bob, played by Robert Musgrave, to worry about his innocent older brother's developing legal problems caused by Bob's backyard marijuana crop and leading to him stealing his own car to return home. Meanwhile the lost and unambitious Anthony, played by Luke Wilson, meets and swiftly falls in love with beautiful Spanish-speaking housekeeper Inez, played by Mexican actress Lumi Cavazos. 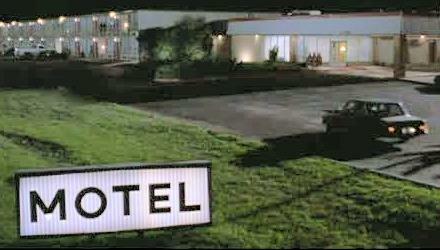 The most integral evolution of the main characters take place in these scenes at the motel and when the filming ended and the production trucks pulled away, the motel stayed. In the years following, the film went from unsuccessfully playing on the big screen to picking up a cult following on VHS, DVD and eventually Blu-Ray. The Windmill Inn traded in its restaurant and bar for a breakfast room and conference center and ultimately became a Days Inn. Sitting just off the access road to I-35 the motel's pool side looks out in one direction on an open corn field with the huge Texas sky serving as a canape which has remained completely unchanged since Anderson and his crew filmed there. In the other direction, however, the motel saw development and growth move steadily for years. Nearly 20 years later, due in large part to the economic downturn, the nearby outlet mall begin struggling to offer patrons the deep discounts they were making the drive from Austin and DFW for and business began to dry up. Tenants of the outlet mall began to drop off and move out which ultimately lead to less and less travelers exiting the highway for a nights stay and shopping on their way to their final destinations. The real life movie backdrop sat still as travelers, truckers and corn harvesters infrequently stopped in to rest their head. It would seem as though the writing was on the walls for the once bustling inn and the owners were even considering hanging it up. 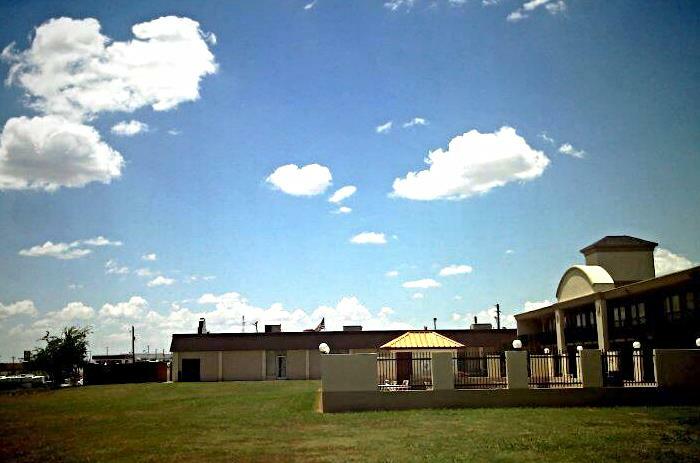 This unassuming looking motel just off the highway in a small Texas city has quite possibly been seen by more eyes all over the world than any other building in a fifty mile radius. This motel that once was seen as something special by a group of film makers. This motel that deserved a second chance... Received it's second chance. Film fans clambered to help preserve this piece of film history and came together for a magical summer night in 2011. With help from Rushmore Academy, Alamo Drafthouse, and so many others; Reservoir Geeks made the Days-Inn Hillsboro the place to be for one weekend every summer and to ensure this movie treasure wasn't going anywhere anytime soon.